Because Swim Coaching Can Be So Much Better ~ Feel For The Water! Advice & Tips to Improve Your Swimming. What is Swim Smooth all about? What do we stand for and care about? For too long everyone has been told to swim the same way, with a very long stroke like Ian Thorpe, Michael Phelps or Rebecca Adlington*. But if you're not 2 meters tall, you don't have the flexibility of an olympic gymnast and you haven't been swimming since age 6 then how does that work out? Not very well! We need to take account of your individual height, build, gender, experience, strength, flexibility and even your personality. Our Swim Type system is a brilliant way to improve your personal swimming, taking account of all those factors to find the optimum stroke technique for you and become the very best swimmer you can be. For far too long coaches have been coaching the stroke, not the swimmer. Let's change that. We're all different so let's take account of that. Swimming isn't rocket science and nor should it be. 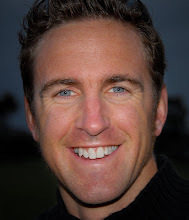 When one of our highly trained Swim Smooth Certified Coaches makes a break through with your swimming - how does it feel? The thing we hear time and time again from swimmers is: Wow, that feels amazing and I can't believe how simple that is! You don't need a PhD in fluid dynamics to become a really good swimmer but you do need some straightforward, easy to understand knowledge. That's why we put so much effort into producing clear, to the point, well produced coaching materials. 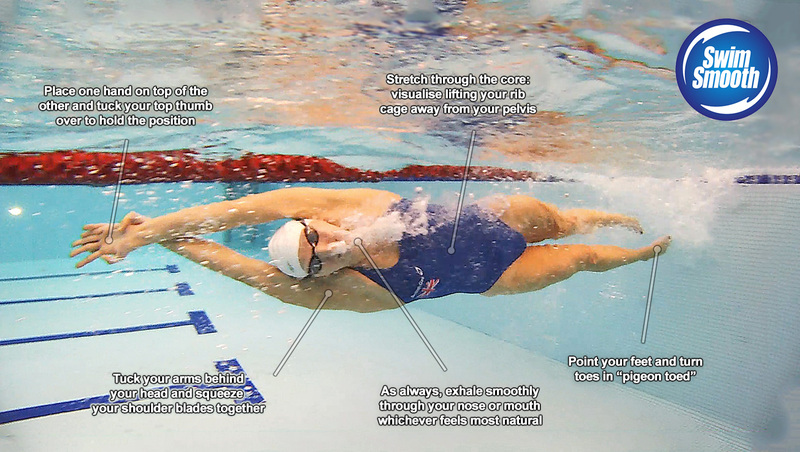 Swim Smooth is a very visual coaching system: Insightful video, simple words and instructional pictures are a powerful combination to improve your swimming - and very inspiring too. Rebecca Adlington shows off her streamline. If you are new to swimming but have a background in another sport you'll know that it doesn't matter how strong an athlete you are on land, not much of that fitness carries across into the water. The strongest cyclist or runner in the world can be left gasping for air after just 25m of freestyle! Traditional swim coaching focuses exclusively on stroke technique with new swimmers and ignores working on swim fitness. But that is a mistake - of course stroke technique is very important but you will progress far more quickly and become a much better swimmer with a balanced approach combining achievable training for your level of fitness combined with the right technique work for you as an individual. We also understand that great pool swimmers don't necessarily make great open water swimmers. In fact your ability to cope with a variety of water conditions, sight effectively, draft well and swim straight are just as important to swim efficiently in open water as your fitness and pool stroke technique. - Technique Work specific to your needs as an individual. - Fitness Training set at the right ability level for you and focused on the event you want to excel in. 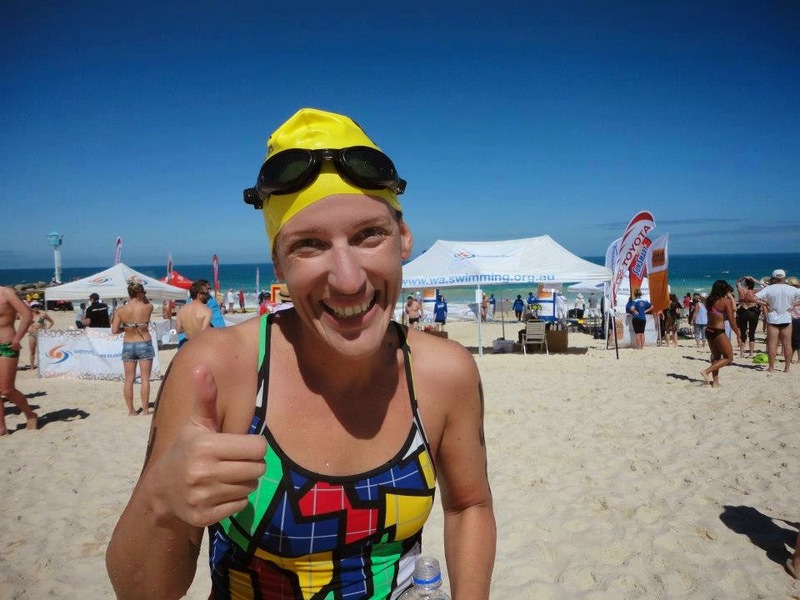 - Open Water Skills so that you perform well - and enjoy swimming - in the great outdoors. 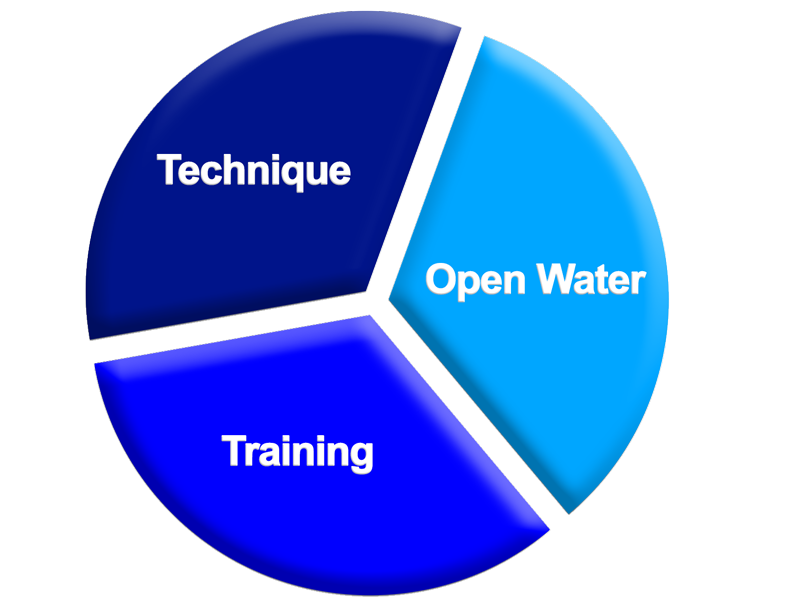 We call these elements "The 3 Keys" because getting the right mix of the three is the key to you becoming the swimmer you've always wanted to be. So how do you make huge gains in your speed? Improvements like Mega Megan going from 2:12 /100m to 1:32 /100m? If you are racing events lasting 10 minutes and longer (i.e. all triathlons and open water swims) then you are a distance swimmer - and you will make huge improvements if you actually train like one! If you are a triathlete or open water swimmer (or racing any distance over 400m in the pool) then traditional masters swimming isn't going to serve you very well. A focus on sprinting and all four strokes is great for pool based sprinters but far from ideal for the rest of us. That's why we popularised CSS training** and invented challenging Red Mist sessions. Focused, rewarding, achievable training sessions pitched perfectly at your level (using some clever technology here and here). Are you ready to unleash your diesel engine? Mega Megan - she looks innocent enough doesn't she? You deserve access to highly trained, professional coaches delivering you the fantastic individual coaching that you need to improve. At Swim Smooth we spend a huge amount of time and energy finding, and training, the very best coaches in the world then making them available to you. Unlike many other coaching certifications, becoming a Swim Smooth coach is a very tough and challenging process. Getting through selection is extremely difficult all by itself (so far only 42 of over 2500 applicants have done so) and that's when the training begins! 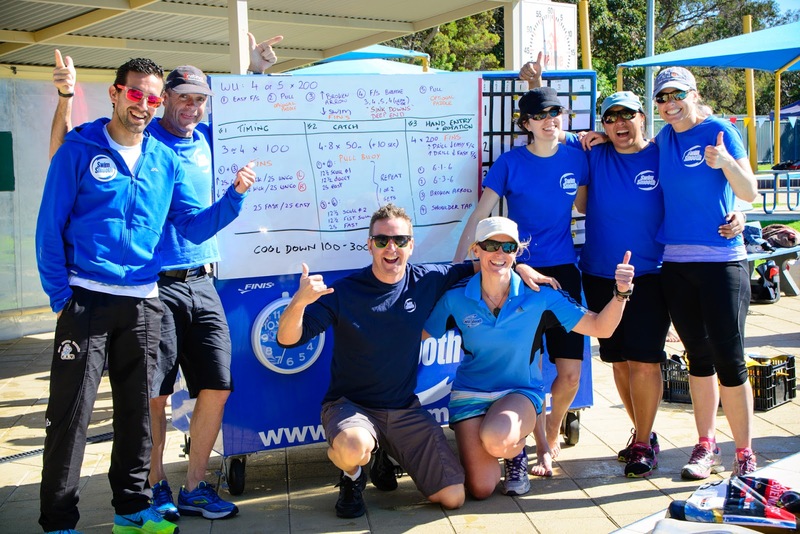 Each coach is intensely trained and mentored by ourselves for over a year, including that famous trip to work with the Swim Smooth squads in Perth, Australia. Beware of imitators - many will claim to use our methods but if you are not seeing one of our coaches listed here then you are not seeing a Swim Smooth coach! A little fun amongst the hard training in Perth! Whatever your level of swimming and whatever you goals, we believe that your time in the water is precious and we want you to make the most of every minute. We're working flat-out 24-7 to make that happen for you. * In fact over the last 13 years we've managed to fundamentally change the world view on what makes an efficient swim stroke. It is now widely recognised that a longer stroke isn't always better - in fact for many swimmers a shorter stroke is faster and more efficient. This has been a huge battle to achieve (and many called us crazy along the way) but it is perhaps our proudest achievement so far. Longer isn't necessarily better - thanks to you for sharing that message. ** We didn't invent CSS training (it originates from way back in 1992) but we brought it to the fore and developed the method further - using Tempo Trainer Pros to dramatically improve the accuracy of CSS training and introduced the concept and tools for tweaking your pace week by week for optimal gains.